This one-pot-wonder is so simple to make, you’ll be so surprised by how flavorful and satisfying it is. 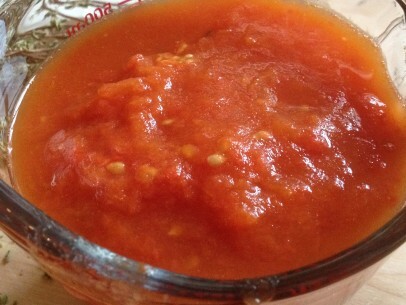 With only 5 ingredients, the quality of your tomatoes, Greek oregano and olive oil have to be top shelf in this recipe. Roasted, peeled garden tomatoes are always best and I save my frozen stash especially for this dish but you can use a good canned substitute too. Whether using roasted or canned tomatoes, make sure to use whole, peeled tomatoes and to drain off any sauce that they may be packed in. You want just the tomatoes themselves. Break them up well with a fork and they’ll just melt into the soup. The star herb in Manestra is Greek oregano. It is the only herb in this dish and is one of the few recipes that gives oregano the showcase it so deserves. I highly recommend buying Greek oregano on the stem. The flavor is stronger and brighter. You can tell the difference by crushing some of the dried oregano leaves between your fingertips. 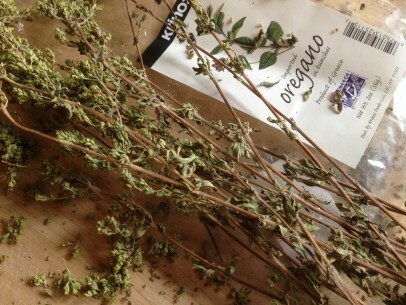 Good, quality Greek oregano will leave oregano oil behind on your skin. The aroma is one of a kind and the taste is just made to go with tomatoes. 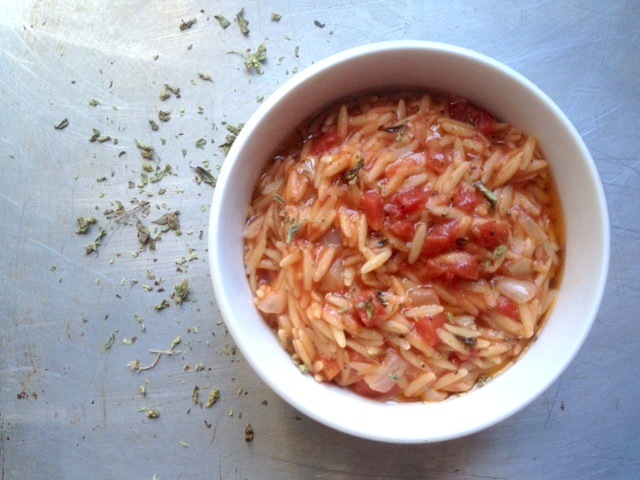 When the onions are sautéed soft and translucent, add the orzo, tomato, oregano and spices and mix thoroughly. 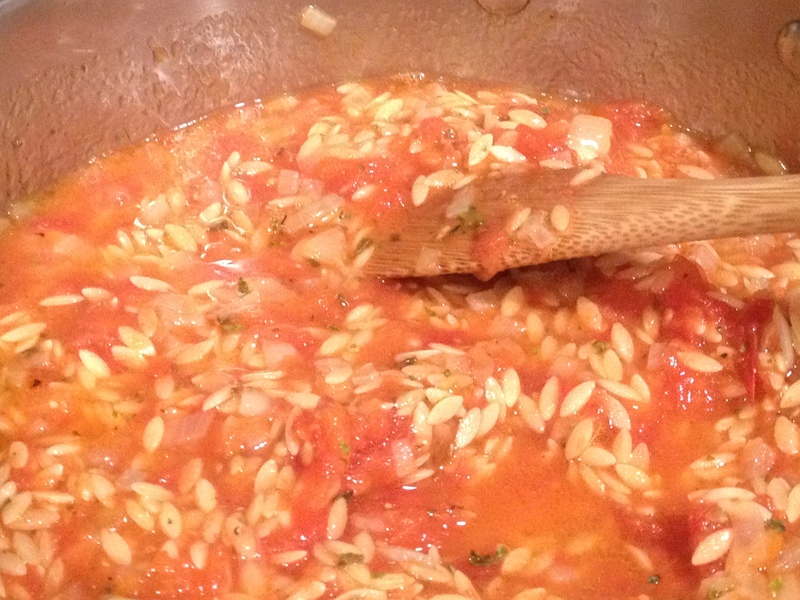 Cook for just 5 minutes to cook all of the amazing flavors into the orzo before adding the water. 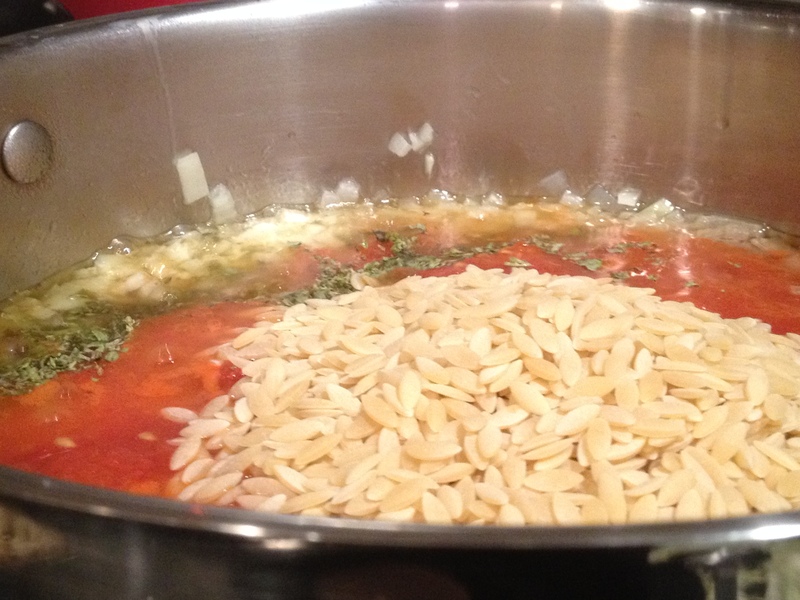 Once you add the water, make sure to stay near the stove and stir the orzo frequently. Orzo has the tendency to stick to the bottom of the pot so stir, stir, stir. Keep your stove on low heat the entire cooking time and you should be fine. Gentle, low heat is very important to bring all the flavors together perfectly. If a few orzo do start to stick to the bottom of the pan, give them a gentle nudge or two with the edge of your wooden spoon and they should come loose easily. A 3qt saucepan fits this recipe perfectly. Saute onions in olive oil over low heat until soft. Add tomatoes, oregano, spices and orzo. Stir to combine well. Cook on low heat for 5 minutes. Add water and cook gently on low heat for approximately 25 minutes. Stir often to make sure your orzo doesn’t stick to the bottom of your pot. Serve hot with crusty bread. To reheat, you may need to add a few tablespoons of water to loosen up the soup as the orzo absorbs the soup liquid the longer it sits. Reheat, covered, on low heat with added water. 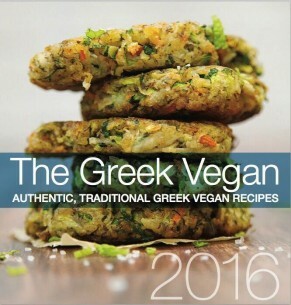 You’ll fall in love with this one-pot-Greek-vegan-wonder! As a main course, this re4cipe serves approx 4 adults. As a first course, it will serve about 6 adults. Hope you enjoy it! Doesn’t orzo have egg in it? making it non vegan? or am i mistaken? This is an awesome recipe, thanks! My goddaughter and I made a batch on Sunday after Church and have been eating it for dinner during Holy Week so far, perfect for the very rainy and cold autumn weather here in Australia. This looks so yummy! I also love your descriptions and recipe text- so warm, inviting, fun, and user friendly! Not to mention the pics! I cook a lot of vegan dishes and so enjoy cooking- but haven’t made soups often and this looks so simple and easy to try- can’t wait to do so. I also find orzo so comforting! Thank you! What would you suggest as a gluten free alternative to orzo? Just a nice, long grain rice? for the manestra, instead of water, can I put Chicken broth? I think it will be tastier..
Yum….want to try this very much. I am not vegetarian but like to eat vegan meals twice a week for health sake and will incorporate this into my diet. Stir in some spinach for a delicious variation! Absolutely delicious!!! I was looking for a recipe to use some beautiful dried Greek oregano I had and I’m so happy I came across yours. I just made it and the taste is really wonderful. Thanks so much for sharing this. I love your website! Is it possible to use fresh Greek oregano and if you can what is the amount you can use?